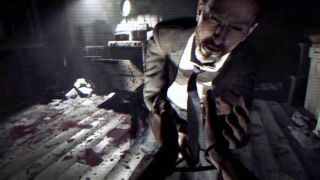 Resident Evil 7's terrifying Kitchen teaser could be the first thing you play on your brand new PlayStation VR headset, if you have the stomach for it. Only the North American version of PSVR's bundled-in demo disc includes Kitchen, but Capcom announced today that it will make the demo downloadable in Europe on PSVR's release date. Kitchen first debuted at E3 2015. This was before we knew about Resident Evil 7, but the gruesome scene does tie into the PS4-exclusive Beginning Hour demo. If all this Kitchen talk has you hungry for more info, you can check out OPM UK's impressions from 2015. And remember, Resident Evil 7 itself will be VR-exclusive to PS4 for a year. You'll still be able to play on other platforms, but you won't be able to fully immerse yourself in all the musty closets and entrails.